Summer is here and it’s a great time to be a kid. The weather is pleasant, school is out, and parents are willing to do some bargaining to keep the household peaceful. Fairs, ice cream, family vacations, trips to the pool and park… there are countless things to feed a youngster’s needs for fun, adventure, and relaxation. It seems fitting that during this youthful time of year we also celebrate most of our American patriotic holidays. While there are solemn events to commemorate, the overall spirit is one of hope and happiness. The people who fought for freedom, built enterprises or became pioneers on this land didn’t just do it for themselves, but for the generations to come… the generation being born today. Companies like Kinsley Kouture, Liz and Roo, Baby Bits and Chibella are all examples of American entrepreneurship in action. So let’s light the sparklers, fire up the barbecue and get the party started! 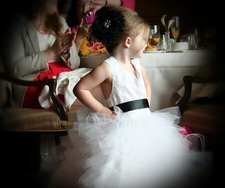 It’s a feeling many moms of little girls can identify with: they want their daughters to look lovely, sometimes even playfully glamorous, yet at the same time they want them to wear clothing that’s comfortable and functional. After all, girls love to play as much as boys do, but many clothing lines that specialize in “glam” clothing for girls don’t allow for that sort of freedom. 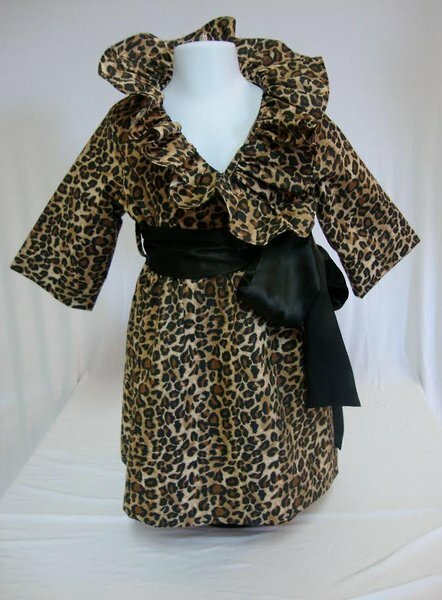 Jennifer Brown-Thomas dreamed of a line of girls’ clothing that was both functional and fabulous. Blending soft, moveable fabrics with ultra-feminine details like sequins and bows, she created Kinsley Kouture, named after her young daughter Kinsley. The collection consists of dresses, skirts, and pant sets in a rainbow of fun colors. It’s bright, happy, and playful, just like the little girls it’s meant for. Many of the fashions are suitable for casual outings and slightly dressier events; there are also some formal outfits available. The Texas-based mom is enjoying her success and is eager to give back to her community. In addition to running a business, Jennifer also organizes the Kinsley Kouture Fashion Show, a fundraiser to benefit Kinsley’s Cure, an organization that helps sick and terminally ill children. When buying baby bedding, there’s a lot to think about. 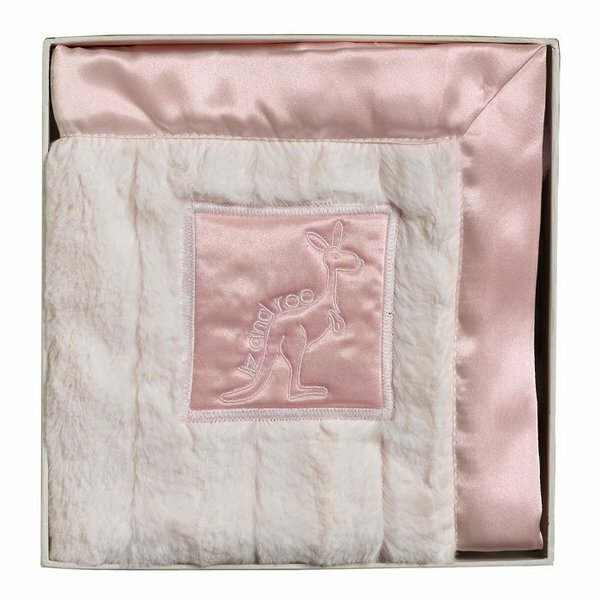 Unlike baby clothes that get only a few months (if not a few weeks) of wear, baby bedding has a longer life, usually remaining in use for a year or more. So it’s important to purchase something that the family can happily live with. Whether a customer is buying for a child of their own or shopping for a baby shower gift, attention to quality and design is a must. 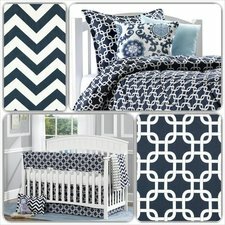 When it come to high-quality baby bedding, Liz and Roo is an excellent place to start. The brand new company – founded in 2013 – is making its mark on the industry with its attention to both style and safety. 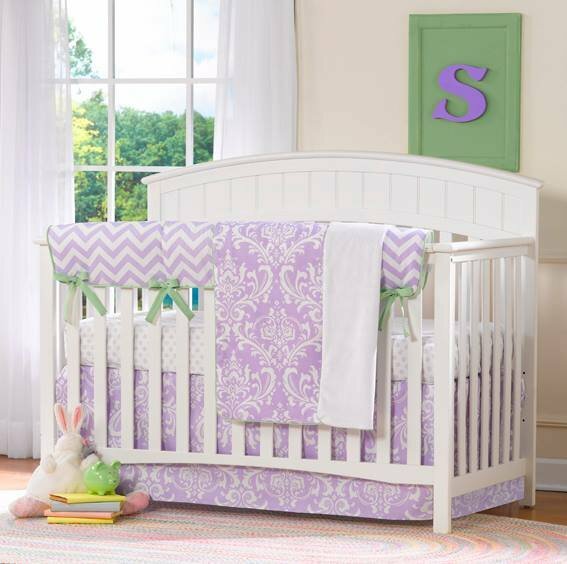 The company’s crib sets feature “bumperless bedding”. 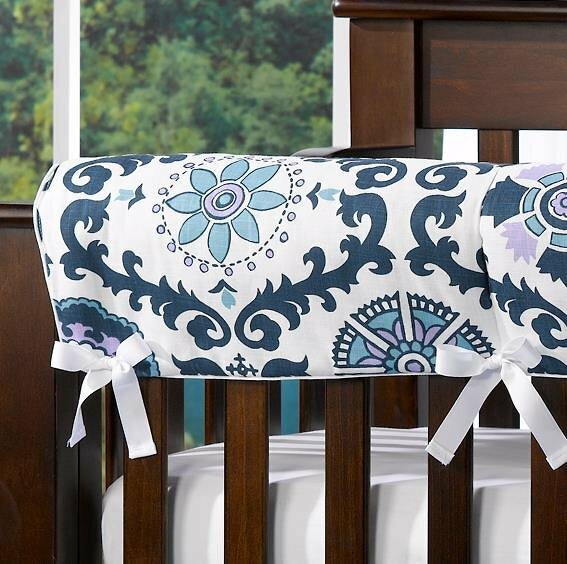 This new bumper-free option is recommended by the American Pediatric Society to help increase sleep safety for infants. 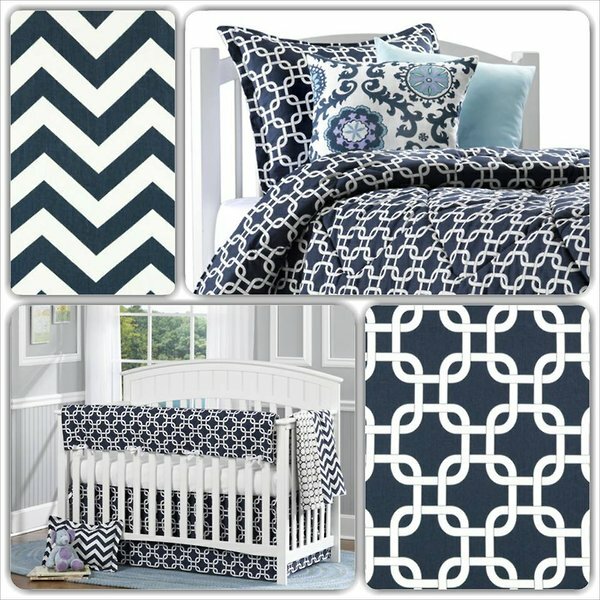 Their crib sets are available in a wide array of classic prints and colors. Each set contains four pieces, with additional pieces available separately. Customers can order all matching pieces, or can mix things up by combining two complementary prints suggested by the manufacturer. The result is a clean, sleek, effortlessly fashionable nursery. If you ask parents of young children which products they go through the fastest, the answer will be, of course, “diapers and wipes”. These items go hand in hand and seem to run out almost as soon as they’re purchased, leaving some parents wondering about more economical – and eco-friendly – options. 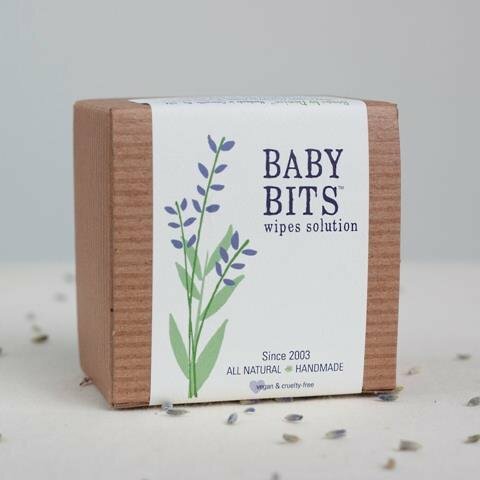 With the renaissance of cloth diapering came a move toward baby wipe alternatives as well. 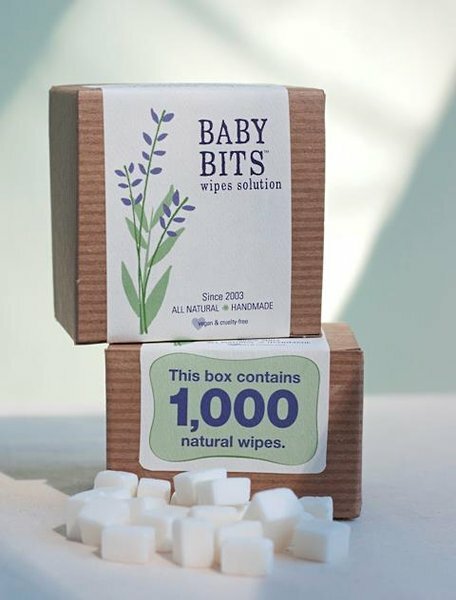 Regular baby wipes create waste and some of them can be irritating to a baby’s delicate skin. 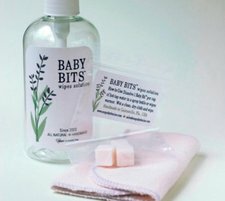 Baby Bits offers parents a way to make their own natural baby wipe solution. 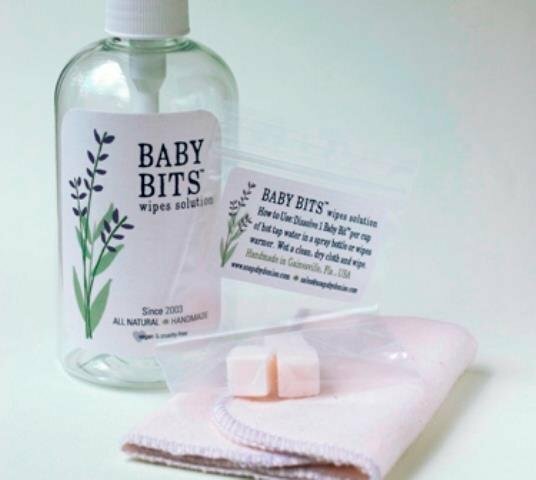 The “baby bits” the company name refers to are tiny cubes of soap made by Florida-based soap crafter Denise Prodigo-Hermann. Hermann developed the idea for Baby Bits as a cloth-diapering mom of twin sons. She found that plain water wasn’t enough to tackle the messes made by her little guys, so she came up with a formula for a solution that was both gentle and effective. Just dissolve the soap cubes in water to create a mild cleansing liquid that can be used at every diaper change, or whenever freshening up is needed. Each kit comes with all one needs to make the wipe solution which lasts through many changes. It’s a simple, money-saving way to keep a baby clean and happy. Once upon a time, nearly every child owned at least a few hand-knitted pieces lovingly made by a mom or grandma who knew their way around a pair of knitting needles. Nowadays, having knitters in the family isn’t quite as common, but the desire for warm, soft woolen clothing items is just as strong as ever. Knitted items are widely available at retail stores and online, but not all of them possess the superior quality and homemade feel that many shoppers crave. 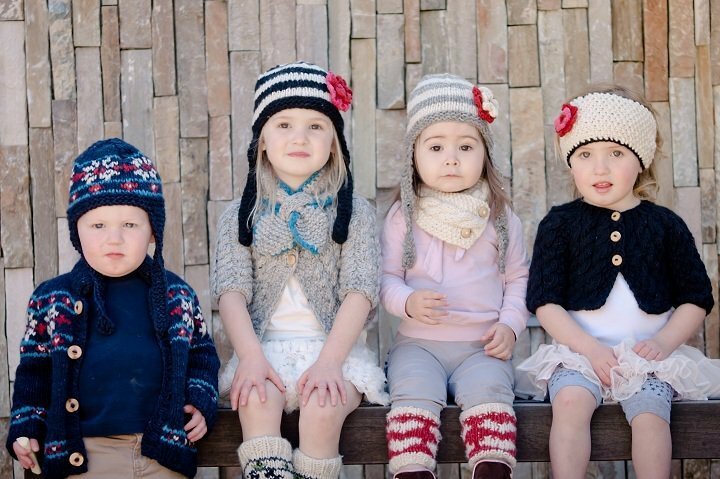 Chibella offers lovely knitted scarves, gloves, hats and sweaters made from hand-dyed Merino wool. Looking at Chibella’s collection of warm winter pieces, it’s hard to believe that this company is located in sunny Los Angeles. The colors bring to mind a bright crazy-quilt rainbow, each handmade piece unique in its combination of hues and variations in pattern. While the scarves, gloves and hats are sweet, it’s the sweaters that really stand out from the crowd. The quality is apparent from the expert stitching to the small details like flowers and buttons. 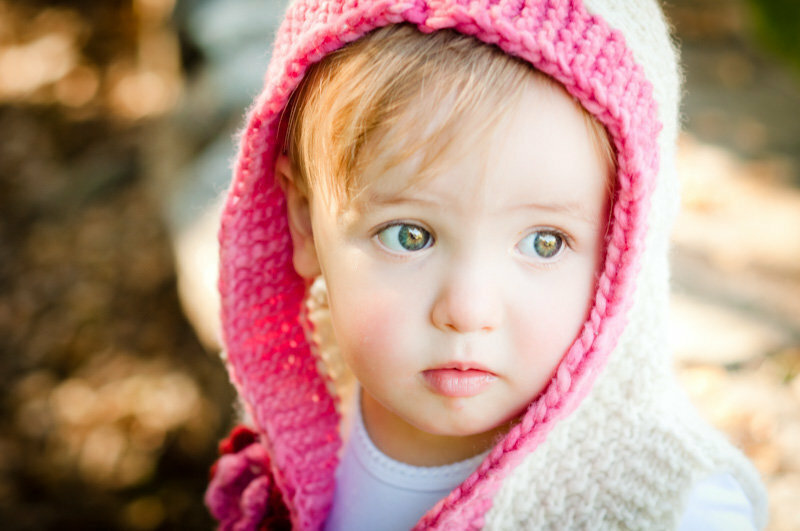 Parents who take their little ones out and about wearing a Chibella sweater will no doubt get lots of admiring looks and questions about where the piece was purchased.